Our graduates are our greatest asset. After walking across the stage to receive your diploma, you have gone on to make a difference in your community, your state, and the world. You have thanked us for preparing you — not just for graduation — but for the days that come after it. Now, it’s time to thank you. 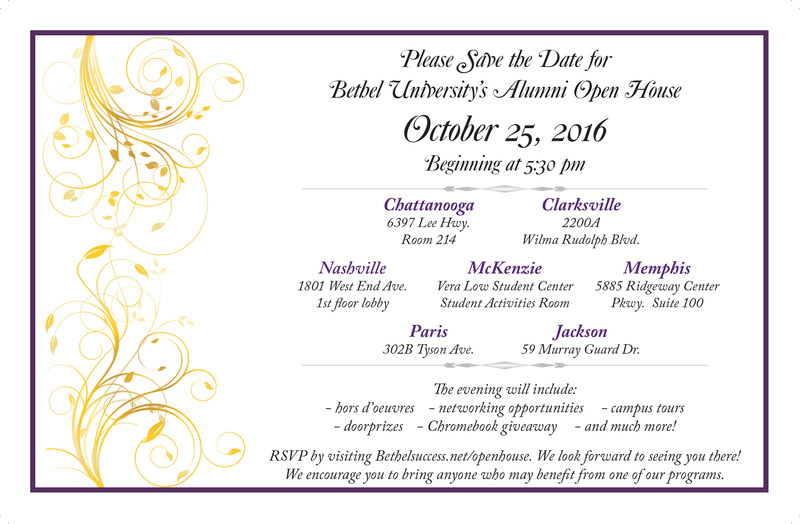 Please let us honor your contributions during the upcoming Alumni Open House at your local campus. Bring a friend, enjoy some food, and get ready to make some positive connections with other members of the Bethel University Family! Click here to RSVP.